Our range of cat carriers are suitable for either those short trips to the vet or holidaying overseas. Plastic cat transport carriers and boxes have both front and top openings and come in various sizes including small, medium and large. 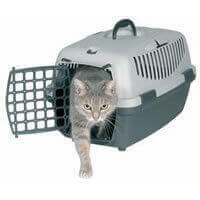 We also stock airline approved cat carriers to transport cats abroad. 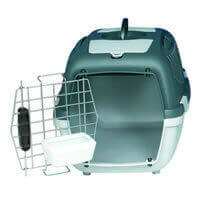 We also stock a wicker cat carrier cave from Trixie; talk about travelling in style.